There are many differences between t ake watches and the originals. So today we are going to talk this topic with several aspects. The clasp on a real Submariner launched before 2010 has 4 squares with the rolex crown placed in the second square down. Ones made after 2010 have a smooth clasp with the crown on the clip instead. However, most fake submariners have the same square design that real ones made prior to 2010 have. However the crown is usually placed on the clip. Besides, also there are not usually 4 squares as there would be on a real one made prior to 2010. As for the real items, the magnifying lens above the date magnifies the date 2.5 times. This means that the numbers are full of the lens. Also the magnifying lens is a bubble shape on top of the watch face. While, on fake Submariner Date watches the magnifying lens hardly magnifies the date meaning that the number only fills up a small part of the lens. The lens is also normally very flat rather than a bubble shape like the real one. When it comes to the real Submariner watches, they will always have a small clip that fold over the clasp once the clasp is fastened down. But some fake Submariner watches will not have this clip and will instead have a piece of metal on the top of the clasp that is made to look like the clip when the clasp is fastened down. If you spin a real Submariner round and look at the bottom inside the glass you can see the serial number engraved in, so that’s just the real ones worked the way. As for the fake Submariners, they usually do not have a serial number present here. 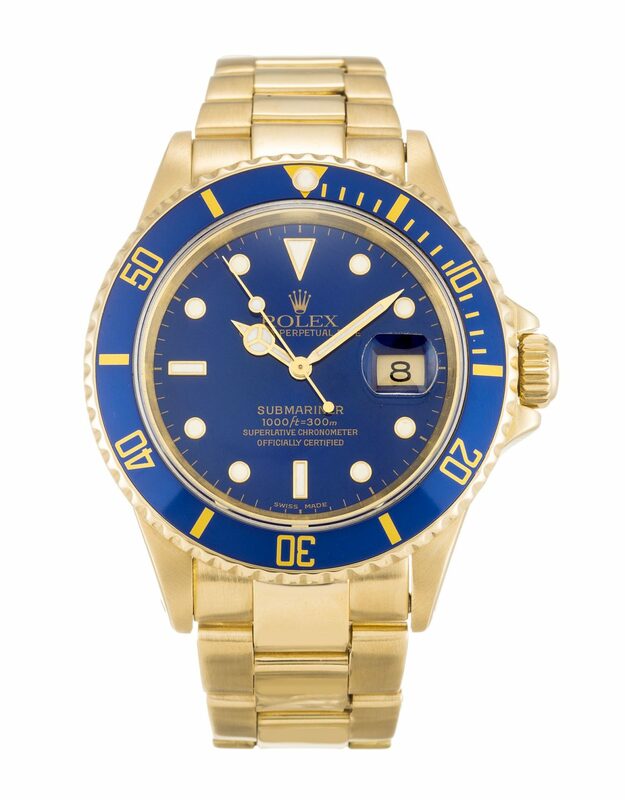 Real – The numbers on the bezel of a real Submariner will always go up in 10’s from 10-50. Fake – It is very rare but some fake Submariners go up in 2’s from 2-22. Some other Rolex models such as the GMT Maşter II do go from 2-22 on real versions, however this is never the case on a Submariner. Real – The markings on the dial of the Submariner will glow in the dark due to a luminous coating added by Rolex. Fake – The markings on the dial on most fake Submariners do not glow in the dark. Real – On the back of a real Submariner there will be a clear sticker present when the watch is new. The only color on the sticker is a green corner to peal the sticker from. Fake – On the back of a fake Submariner there is usually a green sticker with a random code printed on it. 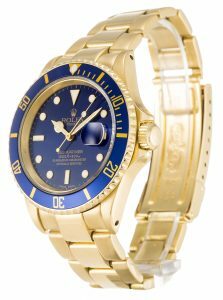 Real Top – Real Rolex watches come in a green box with ripples across the top and a gold Rolex crown towards the bottom middle of the box. 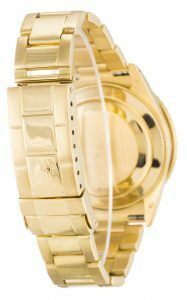 Real Bottom – The bottom of real Rolex boxes have the following text printed in gold: “ROLEX SA – GENEVE SUISSE” followed by a code underneath. However, Fake pairs usually come in a much smaller smooth green box with an embossed Rolex crown in the bottom right. The bottom usually plain with no text printed on them at all.